Bad as I Wanna Be is the third album released by American singer/songwriter/guitarist Malina Moye, produced by Björn ‘Polarbear’ Soderberg. 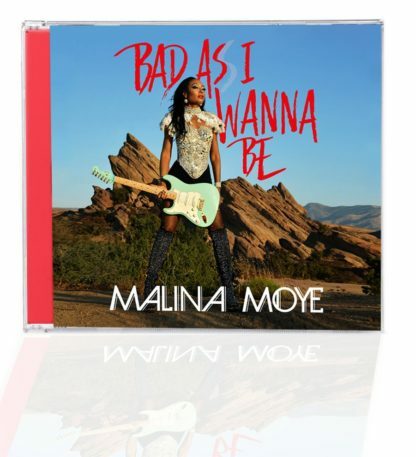 Moye stated to HuffPost that the album is about “celebration of self and being your own super hero.” Parade Magazine said “Moye has proven herself once again as an über talented, electric guitar powerhouse.” The record was released worldwide March 23, 2018 to critical acclaim after Moye made a promotional tour in Berlin, Cologne, Paris, London, and Amsterdam. 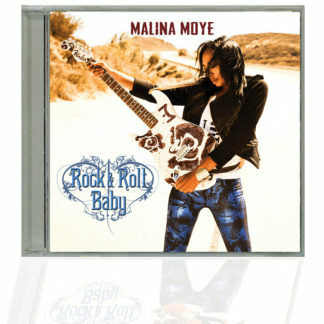 Moye's empowerment song “Enough” premiered on Minnesota’s KCMP The Current 89.3, an NPR station, and stated that, “Malina reinvents the Minneapolis sound.” Rolling Stone France gave the album 4 stars stating that “Moye blends, Blues, Funk, Rock and Pop.” Moye also performed on Hollands's popular late night TV show RTL Late Night in February 2018 in support of the album's European release.